Come see this Rare, ONE OWNER, Japan Built, Beauty, ready for the City & Off Road Country. 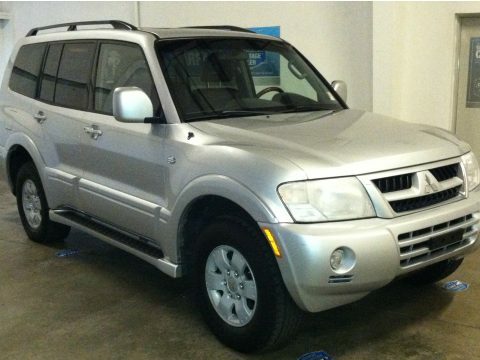 This Stunning 2003 Mitsubishi Montero Limited 4x4 has had Only ONE OWNER and has only 133k miles. This Well maintained Luxury SUV, has many options, such as, Power Sunroof, Black Leather Seats, Power Heated Front Driver & Passenger, with two additional rows of Leather Seating. The Third Row Folds Away when not in use. This 2003 Montero Limited has Dual Climate Control & Rear Air Condition and Heating Controls with vents on the Headliner, Sides & Floor. The Exterior is in Excellent Condition without hail, dents or rust. The Interior is in Excellent Condition without tears, stains or issues. All the Optional Equipment is working as intended. This Vehicle has passed Colorado Emissions, Certificate good for Two Years. Buy with Confidence this 2003 Montero Limited has been Safety Inspected and had it's Mechanical Inspection Done. Car Fax Certified Accident Free / ONE OWNER / Colorado Vehicle / True Miles/ with Car Fax Buy Back Guarantee Certificate.